GOLAN HEIGHTS (June 28, 2017) – After bombarding the Golan Heights, Israel bombed Syrian government troops. It is about more than deterrence: Jerusalem fears that the archenemy Iran could establish itself directly at the border. 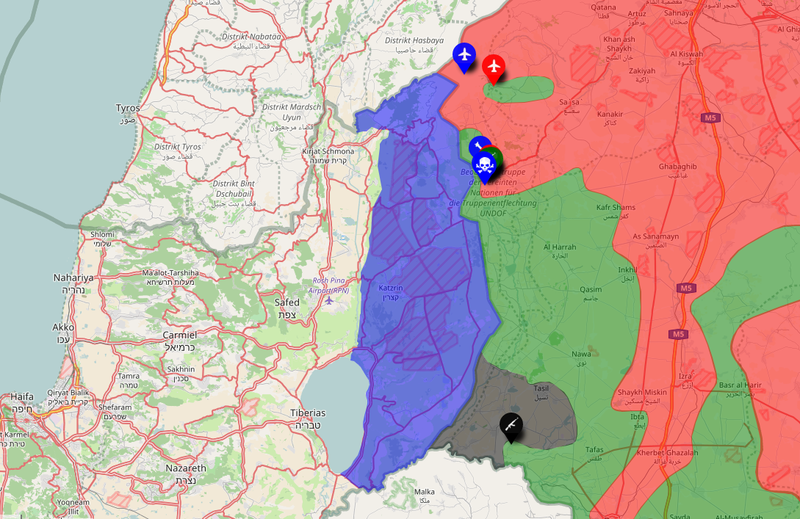 If the fighting between government and rebels escalate on the Syrian side of the Golan heights, Israel is also involved. 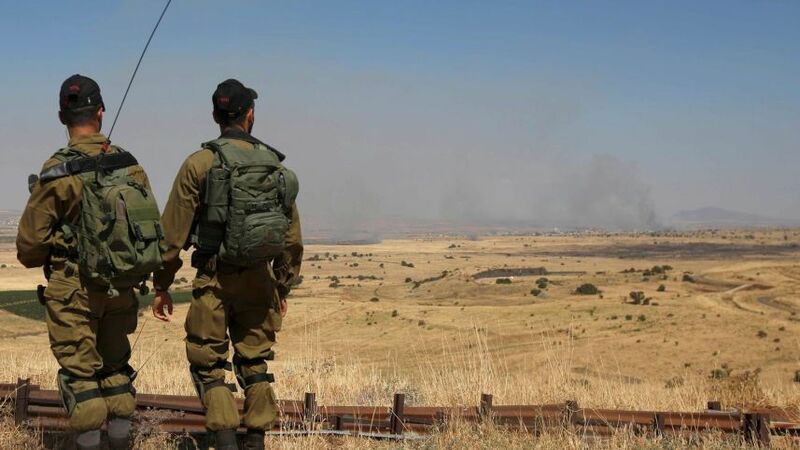 On Saturday, for example, many grenades from Syria hit the Israeli-occupied Golan Heights. Israel’s army then evacuated the places near the border. Shortly thereafter the Israeli air force destroyed machine gun positions and two combat tanks of the Syrian army. Prime Minister Benjamin Netanyahu said on Sunday, “Our strategy is clear: we will not tolerate any shelling, but will react hard to any attack.” But this time Israel wanted to scare not only Syrian commanders. The actual addressee of the military message may have been Iranian-backed militias. They want to establish themselves directly at the border which is a cause for concern for Israel. The government of President Bashar al-Assad gains strength due to the help of Russia, Iran and Hezbollah. Iran assists Assad with money, weapons and troops and the Lebanese Hezbollah militia has sent thousands of fighters to Syria. Assad knows that without them he would have been overthrown and therefore granted them political leeway. Iran and Hezbollah, which have devoted themselves to the destruction of Israel, want to use this leeway to build a further front against Israel on the Golan heights. Syrian government troops recently regained the border area to Iraq at At-Tanf. Earlier this month, the units of the Iranian-supported Shiite militia in Iraq (called “Hashd al-Shaabi”) reached the other side of the border: Iran is coming closer to its dream of the land corridor to the Mediterranean. The consequences: Until now Iran delivered Hizbollah weapons over the sea or via airport in Damascus. Soon, rockets would be able to reach Lebanon by land – Israel then would not be able to track supplies and destroy them. Hezbollah leader Hassan Nasrallah suggested further consequences: the next war would not be restricted to Lebanon or Syria, but “give thousands, perhaps even hundreds of thousands of fighters from the entire Arab and Islamic world the opportunity to fight.” This is not an empty threat: Around 30,000 Shi’ite volunteers from Pakistan and Afghanistan are figthing in Syria. They are trained by Hezbollah and formed into militias. Nasrallah is building the infrastructure for the next war. Israel’s secret service confirmed that Nasrallah operates underground weapon factories for precision weapons. Hezbollah has a strong military presence in southern Lebanon and has erected thousands of observation posts directly on the border to Israel. Israel is not alone with these worries. Jordan, as a close ally of Iran’s archenemy Saudi Arabia, also does not want Hezbollah presence on its northern border. As a result, Israel and Jordan are cooperating more closely. Israel provided Jordan helicopters and the secret services of both countries exchange Information.